Is immensely talented, yet everything she has ever known will be ripped apart. Her love will be tested. Her heart will call out for a strength that could only exist in moments like this, and her tears will carry her through the storm. Will she be able to give her heart to the love of her life while fighting to open her heart to a mother she has never known? While facing her greatest loss, will she be able to find the key to strength, the will to continue on, and the endurance to make it through one of the darkest moments in her life? Within her heart is a secret so deep that it could shake the very foundations of two lives. Will she be able to finally look into the eyes of a daughter she has only known from a distance? Two paths are set before her; one could lead her back to the life of fame and prominence, which she so desperately wants; and the other could give her the love she so desperately needs. Will she choose the path that is best for her future, or for her heart? Ms. Thomas is a dynamic story-teller with three romantic and dramatic novels to her credit, she distinguishes herself from the genre popular among women by refusing to lace her work with profanity and sexually-explicit themes for the sake of notoriety and book sales. Nevertheless, her first two novels "Color Me Jazzmyne" (2010) and "My Father's Colors" (2011), both reached the Top 100 on Amazon.com's Rhythm and Blues and Soul best-sellers list. "My Father's Colors" was a finalist pick during the 2011 USA Best Book Awards. 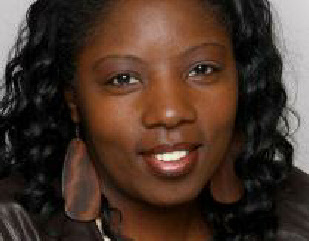 Ms. Thomas's books probe the ever-intriguing themes of race, family strife, love, teen pregnancy, friendship and abuse. And yet, her tales which seem to pre-sage current tabloid headlines are spelled out in ways that suit delicate moral tastes.As a motivational and inspirational speaker, Marian delivers an engaging seminar and workshop titled: Publish Yourself First: Become a “Plan A” Author. In March 2011, she taught this workshop to the Destiny's Daughters of Promise. Here is what they had to say: "We are honored that you took time to do a presentation for Destiny's Daughters of Promise. The information you presented was timely and relevant and it will help us prepare these teens for a successful future. Thank you for helping us in our endeavor to bring about a positive change in the lives of these girls." *Note information provided for this Virtual Book Tour is courtesy of www.marianlthomas.com. The authors website. Strings of Color by Marian L. Thomas reintroduces readers to four women linked by the lies, betrayal and secrets of their past. Simone is a talented woman struggling to give her heart to the man of her dreams. Simone also struggles with building a relationship with a mother who has never been in her life. Misty is trying to reclaim the life she let her ego destroy. When Misty discovers some unsuspected information about her past she will have to make a decision that will change her life. Naya is grieving the loss of her husband while trying to stay strong enough to keep living. Naya receives an uninvited visitor and suddenly has to confront her past head on. Mona knows she is far from being a saint but needs to make amends. Mona finds a unique way to clean out the skeletons in her closet because she realizes the decisions she made in the past would soon come back to bite. Will Mona be prepared for responses? 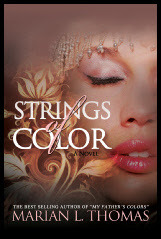 Strings of Color is a book that reveals family secrets. From the first page until the last readers will be struck with overwhelming emotions. This book has well-developed characters that complement the storyline. It is consistent with the previous books in the series giving readers different views of this family's life. I was thrilled with this book as well as the previous two books in this series. This author has a unique writing style that makes her a wonderful storyteller. I cannot wait until the next book is available. I recommend this book to others. Thank you for such a wonderful review! Business of the Week: Mama, I Want to Write!